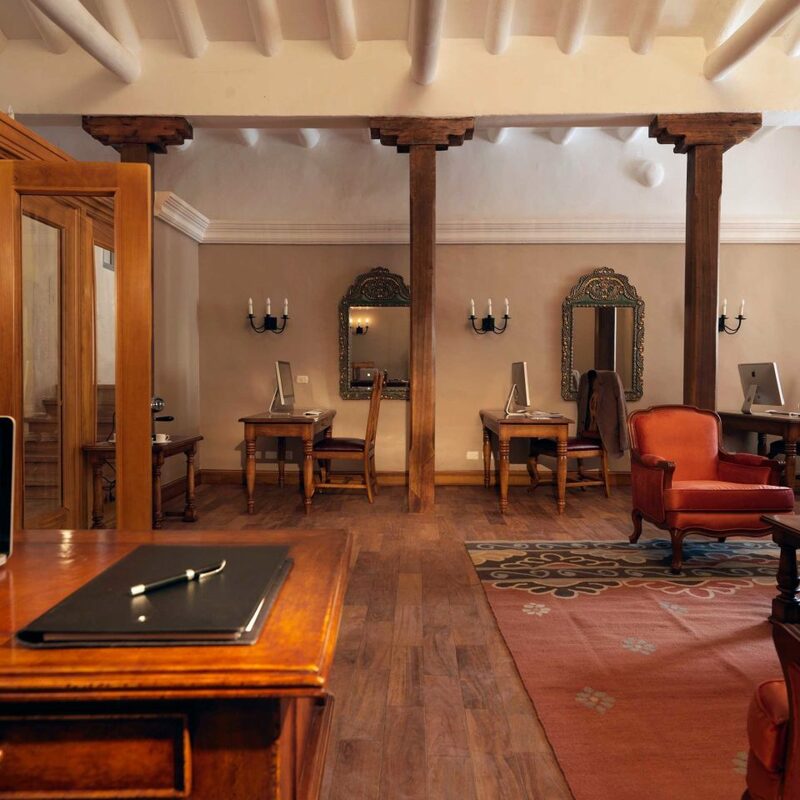 From the impressive Incan stone doorway and colonial-era wooden santos to the exquisite frescoes and a centuries-old fountain, Belmond Palacio Nazarenas puts its mezmerizing history (and some of the 80,000 artifacts discovered during the restoration) on full display. 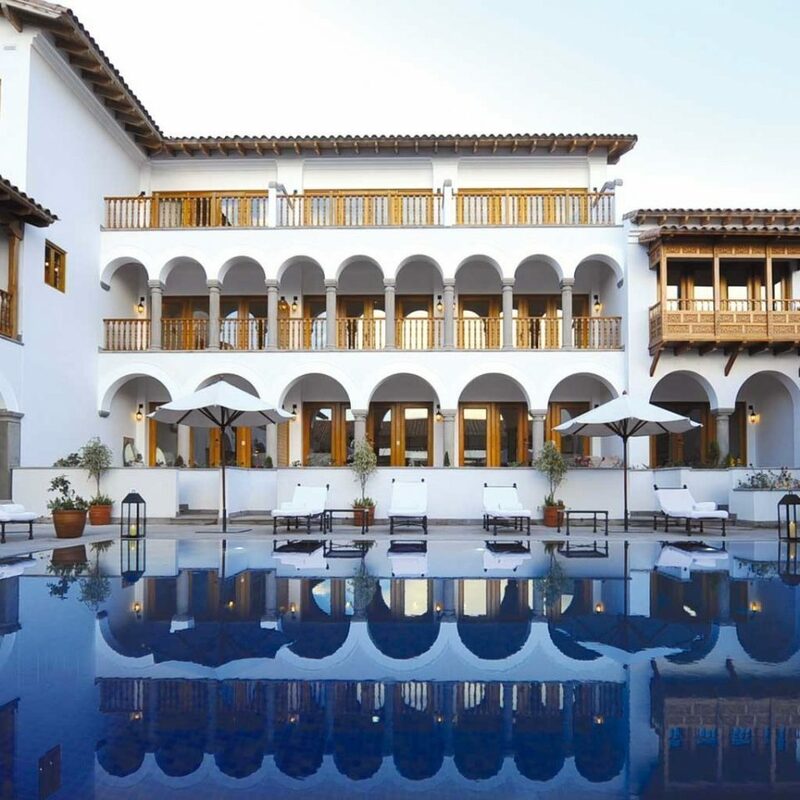 The pretty central courtyard has whitewashed adobe walls and hand-carved wooden balconies, and there’s a sun-drenched swimming pool and patio for unwinding after exploring Cusco. 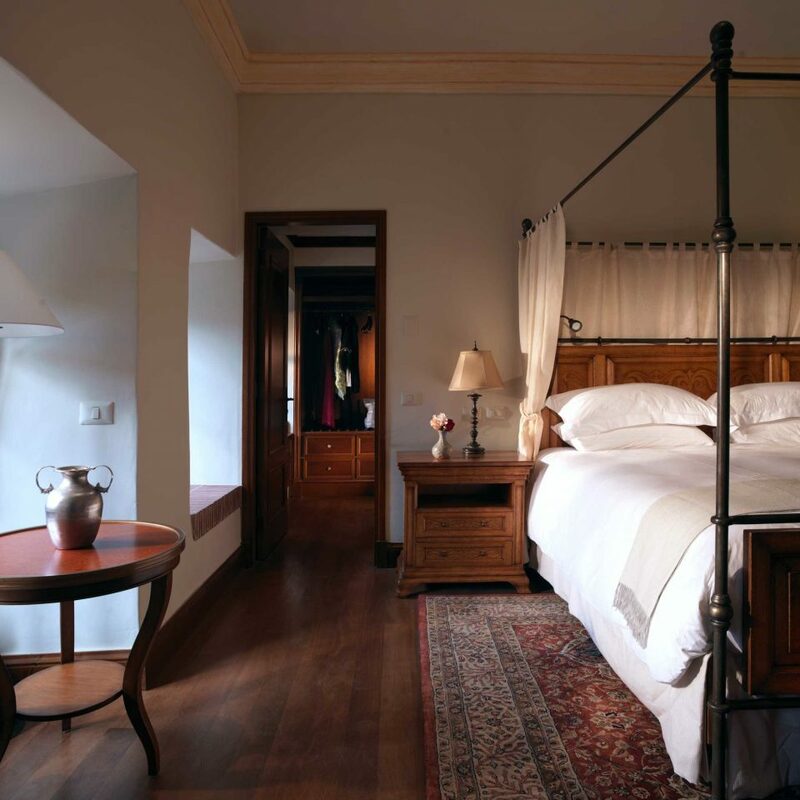 Unlike those in many colonial-era buildings, the suites here are bright and airy, with lofty ceilings, four-poster beds and wooden floors adorned with thick Persian carpets. 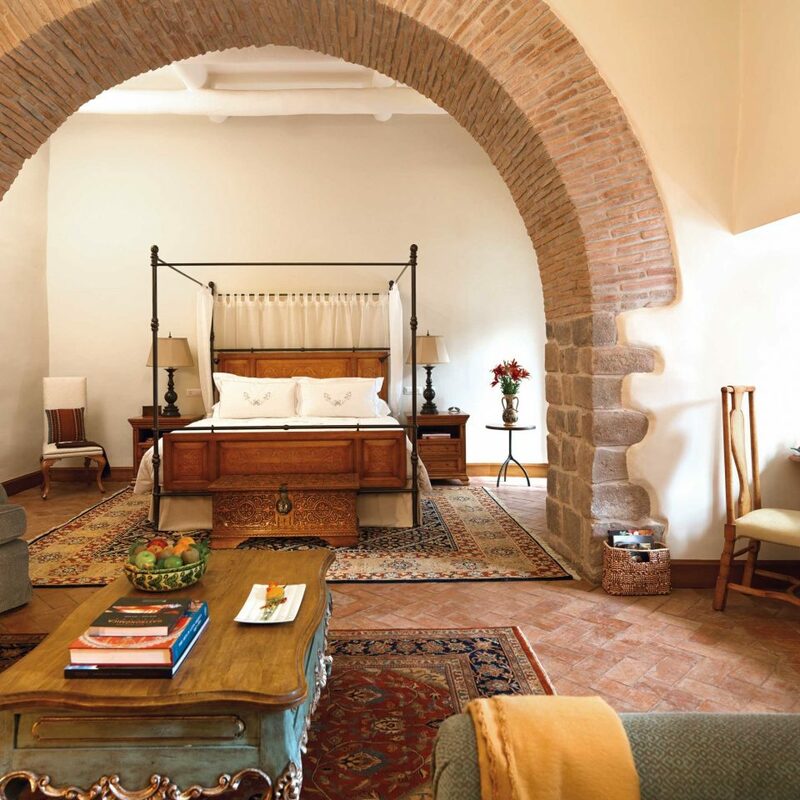 Some suites have their own Incan stone walls, uncovered during the restoration; the more contemporary comforts include in-room bars, espresso machines and Bose sound systems. 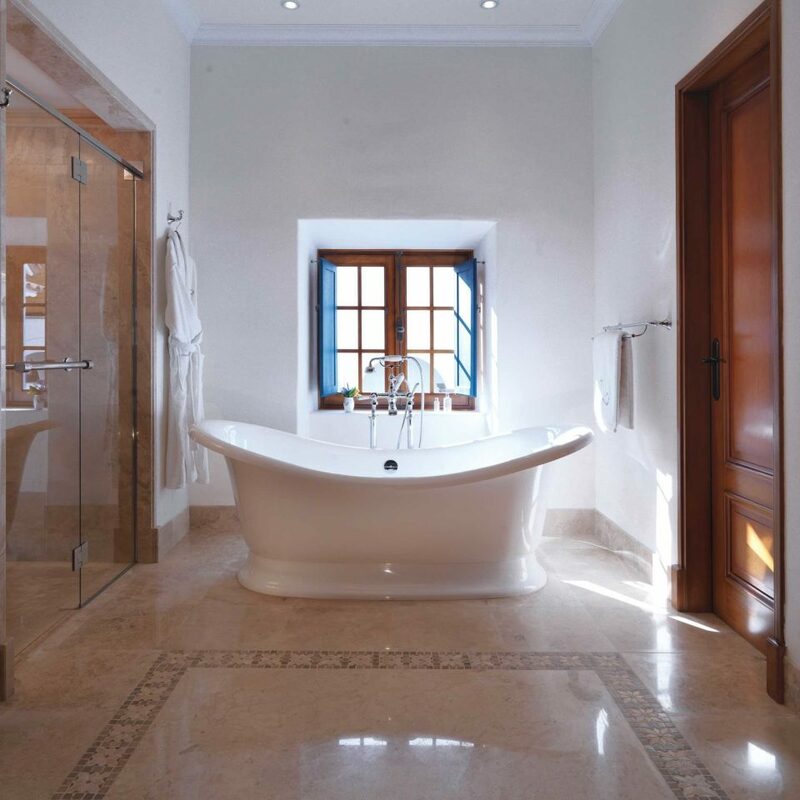 The enormous bathrooms have underfloor heating, acres of Peruvian marble and deep tubs. 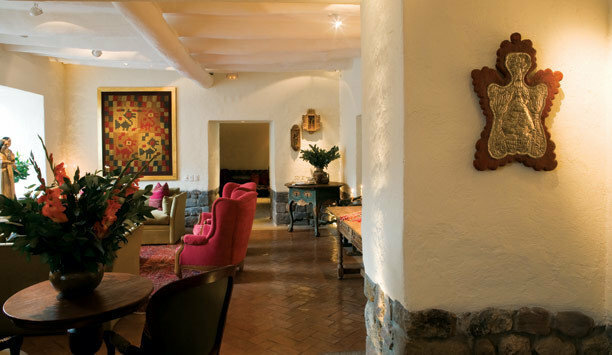 The on-site Senzo restaurant has a strict food-miles policy; it grows its own vegetables at an organic farm in the Sacred Valley. 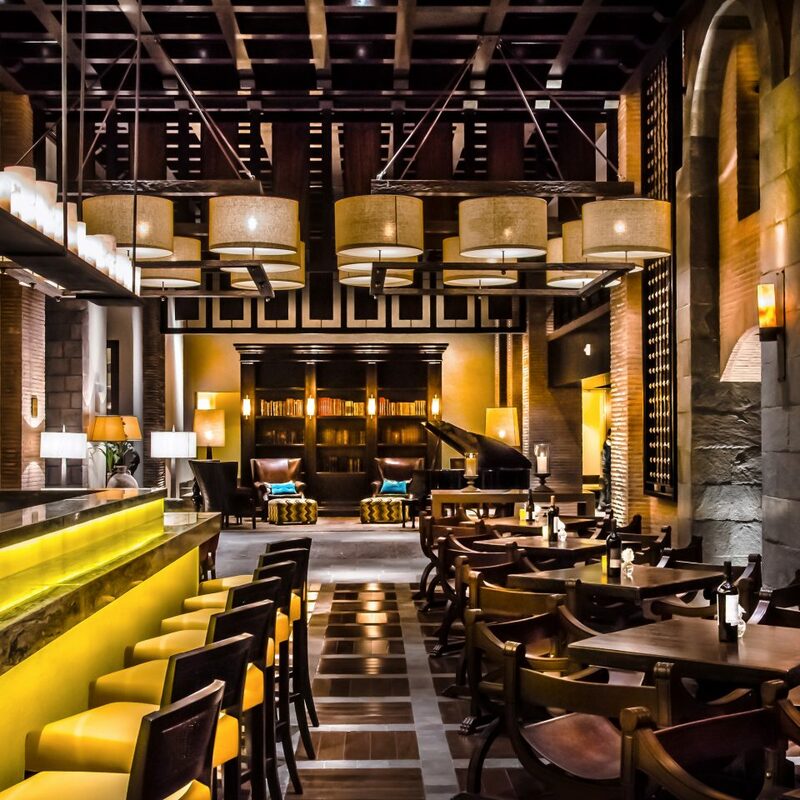 The innovative dishes are infused with local produce — think tangy salmon ceviche, purple corn chips, black quinoa salad, Andean trout and suckling pig. 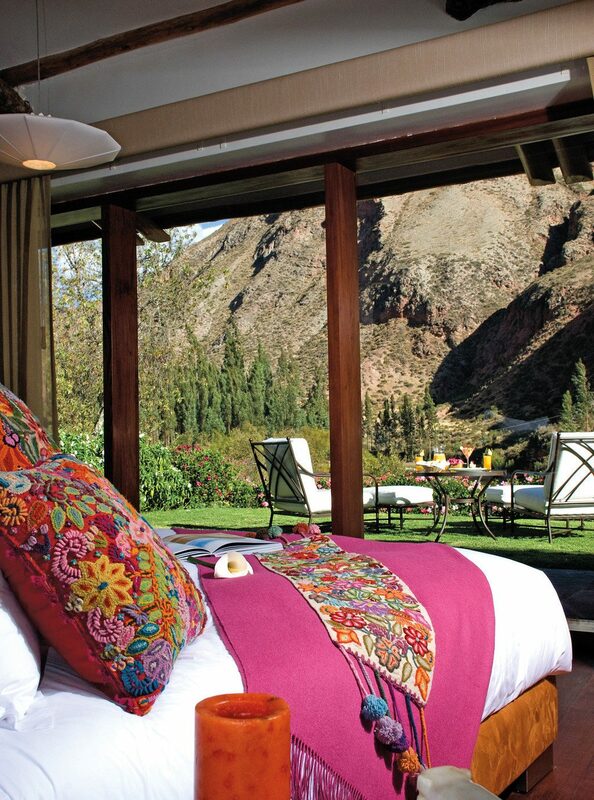 For further indulgence, head to the Hypnôze Spa for an aromatherapy massage using Andean herbs selected by a local shaman. Some of the six treatment rooms have glass floors looking down to carefully preserved Inca ruins underneath. 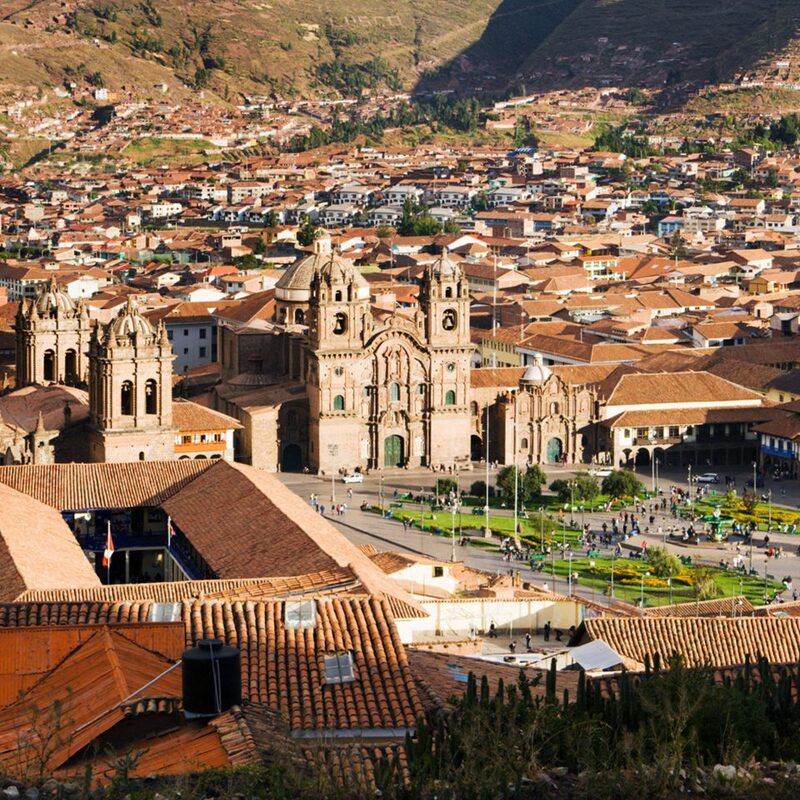 Cusco was once the center of the Incan Empire, and today it’s the gateway to adventures in the Sacred Valley and Machu Picchu. 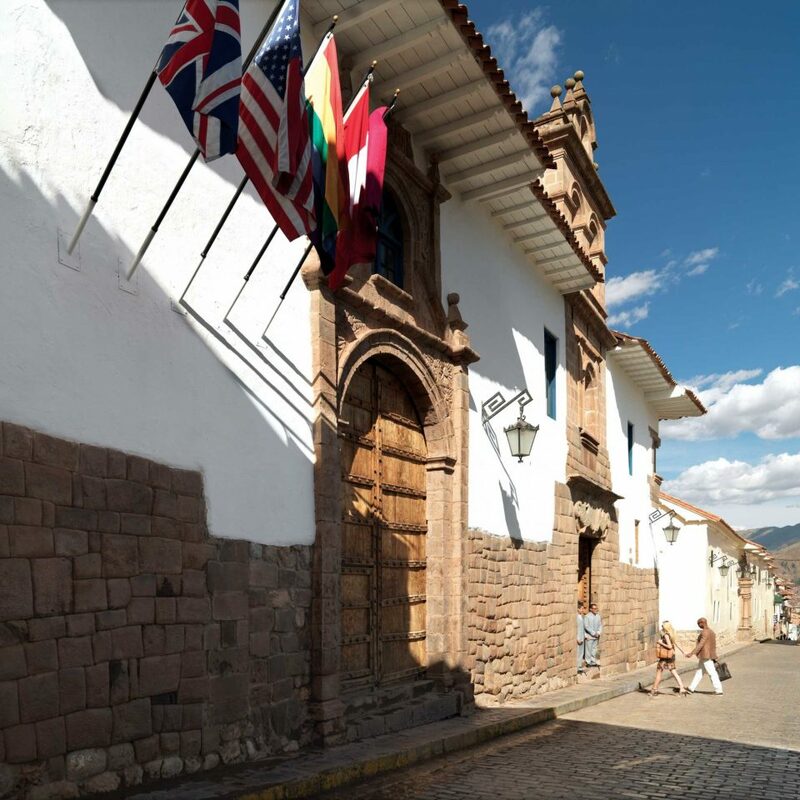 Get a dose of culture at Cusco’s cathedral and ancient churches, and the Incan Qoricancha, the temple of the sun, as well as the Museo de Arte Precolombino — a treasure trove of pre-Columbian artifacts. 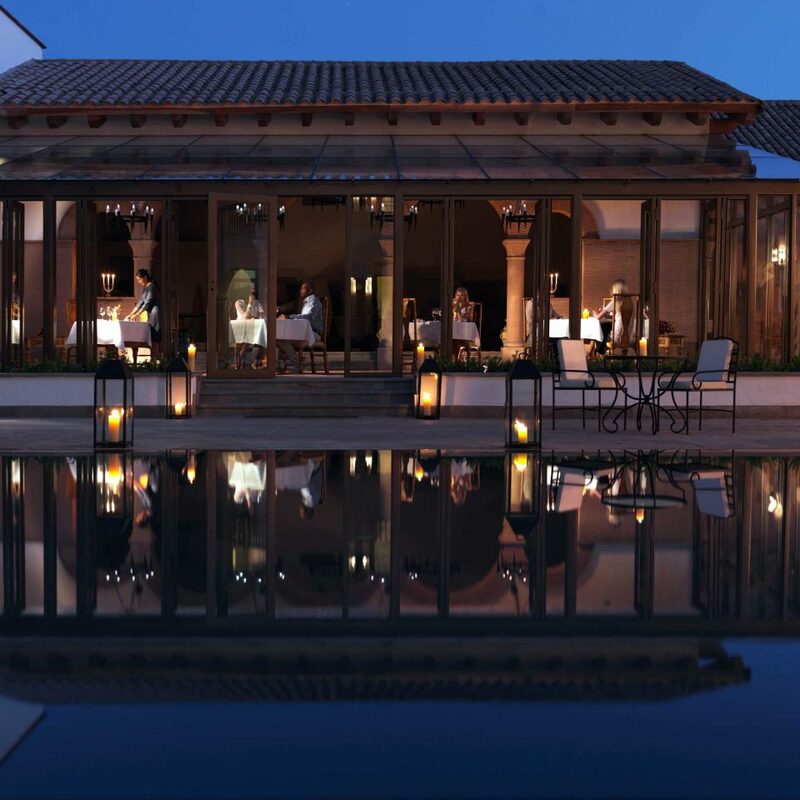 Shop for stylish alpaca scarves and knitwear at Kuna and Sol Alpaca, feast on New Andean cuisine at Calle del Medio (which overlooks the main square), and sip inventive cocktails while learning the history of Peru’s signature spirit at the Museo del Pisco bar. Naomi in the Dining Room and Daniel at the Front Desk were OUTSTANDING. A wonderful hotel. The building has been beautifully restored. Our room was truly extraordinary. The staff was tremendous. The grounds are an oasis from the city and a perfect place to relax after a day of touring the Inca sites. Breakfast at the restaurant was excellent. 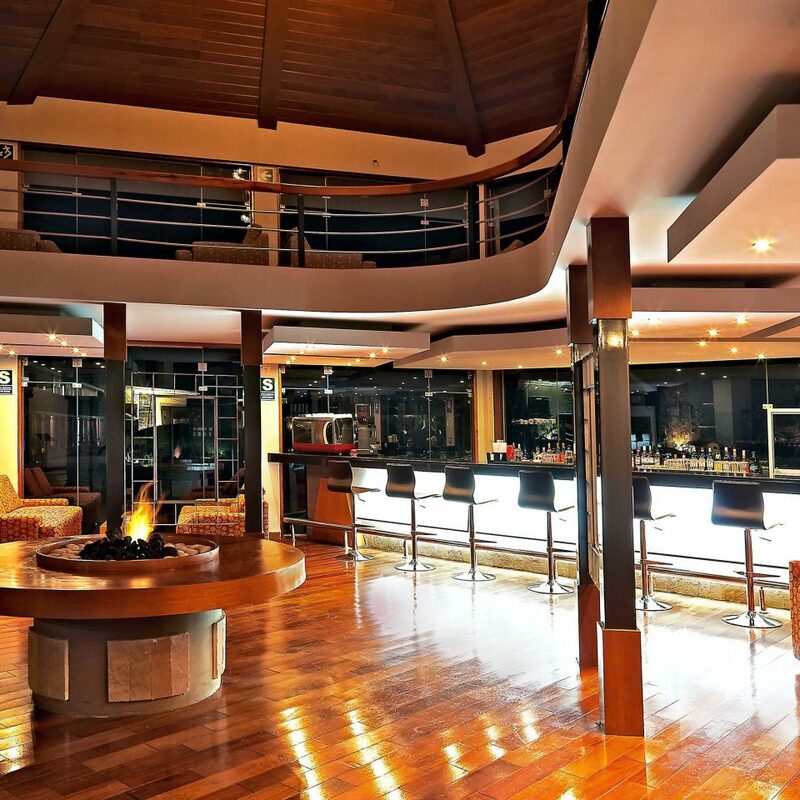 A remarkable property. This hotel was SUPERB (and I am very fussy about hotels!). Truly luxurious. A former monastery, the courtyards and public areas flow into one another and there is a surprise around every corner. Our room was marvelous. TWO types of robes - one silk and one cotton. How great is that?? Hot water bottles in your bed at night, luxurious towels, open bar in your room (not that I every used it!) and wonderful embroidered bedding. The service was outstanding. I ordered tea late at night and it came within five minutes. The breakfast was delicious - a harp player was a lovely touch. Truly one of the nicest places I have ever stayed. And a great location! 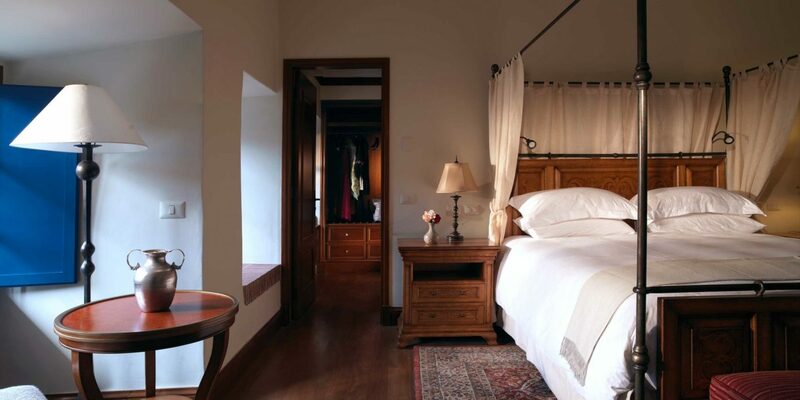 This is a very nice property located just a couple of blocks from the main square in Cusco, the Plaza Mayor del Cusco. 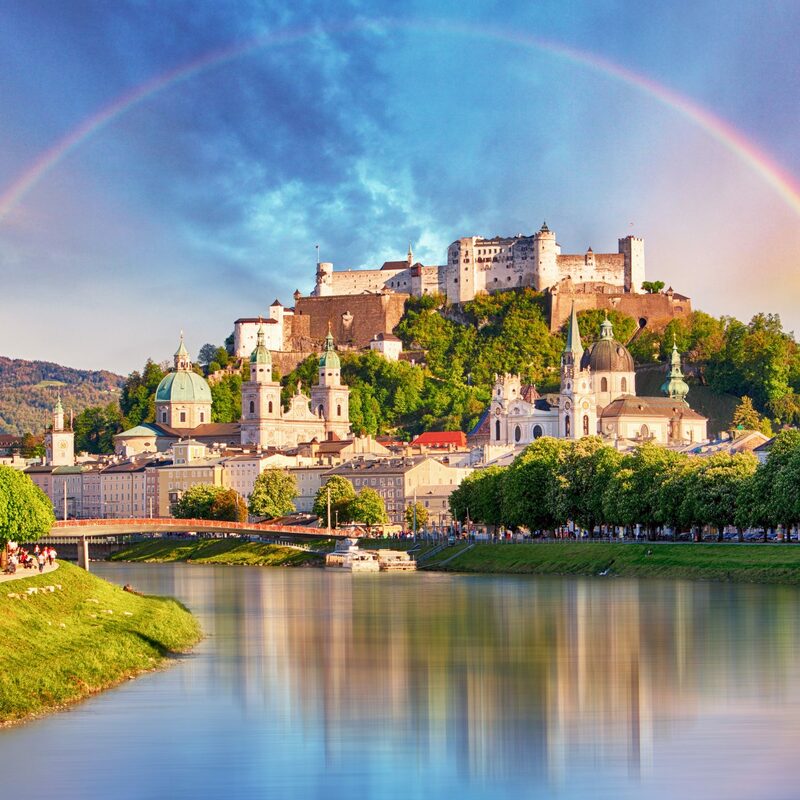 The rooms are spacious and well appointed, including adequate power sources (standard outlets that work with American plug ins as well as adapters for other countries), nice furniture, and, yes, trash cans (hotels seem to hide these or just put one in a small area). Another great thing: very good water pressure. . . and yes, you can flush your toilet paper. The buffet breakfast has a nice variety. The service is top notch. The hotel grounds are on an old monestary with courtyards and fountains all around. I would rate this as one of the 5 best hotels I've stayed at in the world except for a fatal flaw on my last day: they did not give me a wake up call on time (there was a misunderstanding with the front desk: to be fair, I don't speak Spanish very well, but the front desk staff seems to speak English very well). I also arranged ahead of time with them to pick my daughter and me up at the airport, and that went seamlessly. 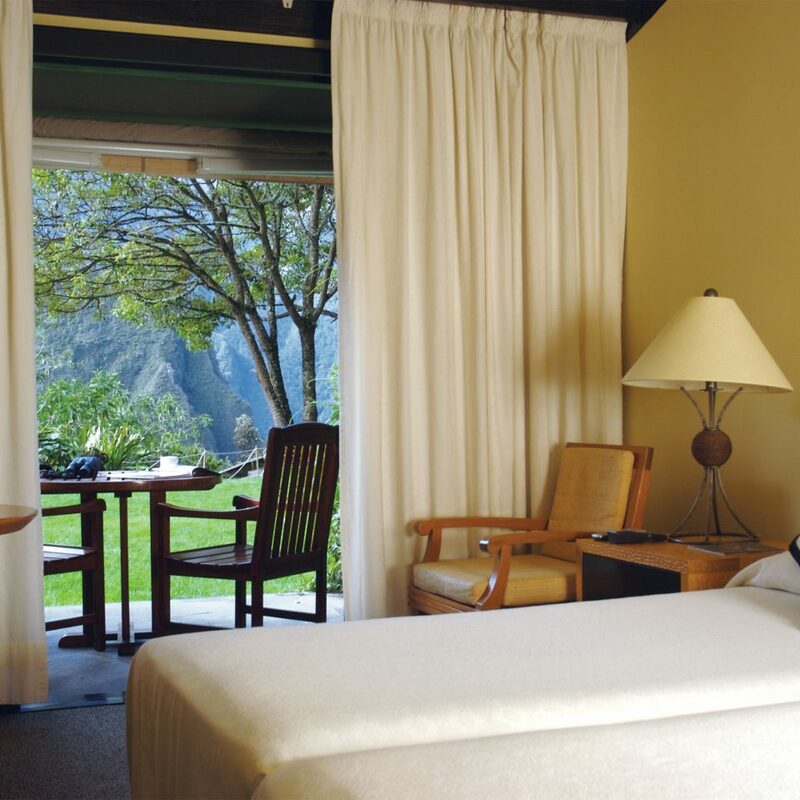 Because of our travel plans, we stayed in two different rooms (we went for an overnight hike to Machu Pichu). The second room was a little smaller but still very nice and still quite spacious: only trouble is that at 4 AM, I could hear happy revelers on the street outside. For this reason, I would recommend against a room on the Southeast side of the property as there is a small street next to the outer wall. 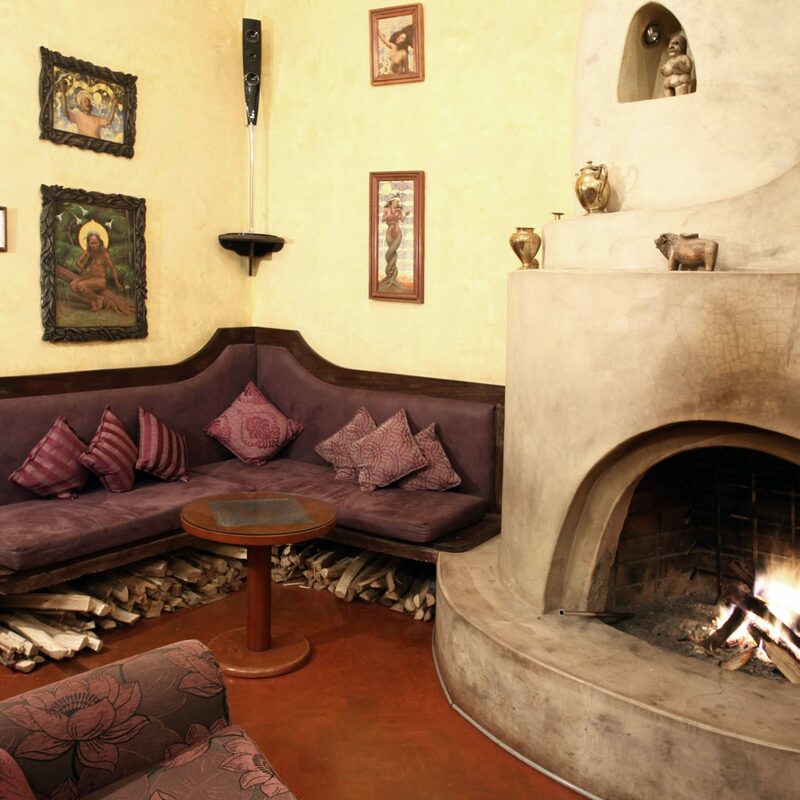 This hotel does stand out though in the way its room decor is functional but matches the theme of the hotel, the spaciousness of the rooms, the tranquility of the grounds and the excellent, professional manner of everyone who works there. Would have rated this hotel more than 5 stars. Very nice location, near main squares in Cusco. The hotel staff is great , very friendly and accommodating. The beds and rooms were very comfortable. Rooms are oxygenated. Restaurants were very nice. The courtyards with the hotel grounds were beautiful.